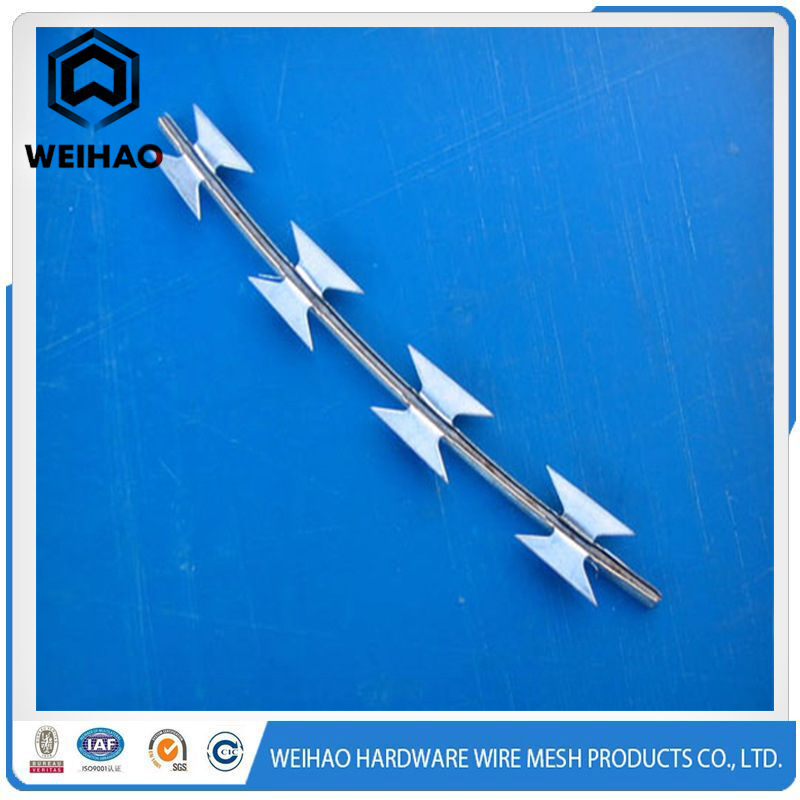 Product categories of Razor Barbed Wire, we are specialized manufacturers from China, Razor Barbed Wire, Blade Barbed Wire suppliers/factory, wholesale high-quality products of Deterrent Barbed Wire R & D and manufacturing, we have the perfect after-sales service and technical support. Look forward to your cooperation! Razor Barbed Wire is one kind of new protective net(Deterrent Barbed Wire), which also be known as Blade Barbed Wire, razor barbed mesh, razor wire. This razor wire is one kind of separation equipment, and it was combined by two parts: blade and core wire. Sharp blade was punched out of galvanized steel sheet or stainless steel sheet and core wire is high tension Galvanized Steel Wire or Stainless Steel Wire. Razor wire is sharp and difficult to touch, so it has excellent isolation protective effect. The economical and practical razor wire is convenient to install with beautiful outlook, excellent isolation effect. It has been widely used by many countries in industrial and mining enterprise, garden, apartment, border post, military, prison, detention center, the government building and other national security facilities.